This entry was posted in Uncategorized and tagged Christianity, Forgiveness, Humility, John Newman, The Prodigal Son. Bookmark the permalink. I think for many of us, that’d be a very good start, Gill. It is in fully receiving God’s unmerited grace and love humbly and in faithfulness that we begin our journey home. So far have I strayed, and now I so struggle to return. My reassurance is that even in straying and living apart from God, my return to him will be celebrated and I most welcome. Thanks be to God! 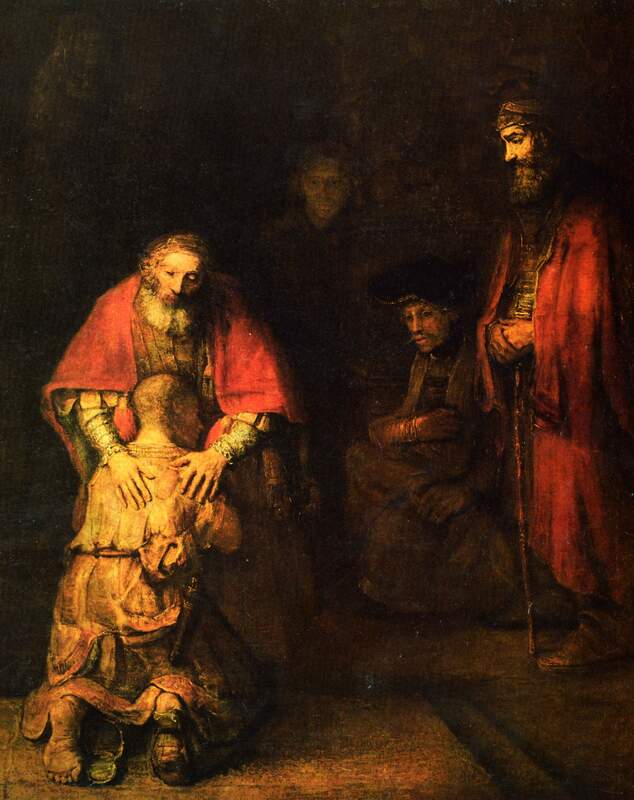 Tim Keller, in his book “The Prodigal God”, looks at both sons in this story and comments that all of us tend to relate well to one or the other. Being in the church my whole life, one would think I would relate more to the judgmental spirit of the older brother. But I don’t. I relate so very much to the younger son, for all the reasons you so beautifully state here. Thanks, my brother! Thanks, Blake. I relate to the younger son myself. I think the real challenge for all of us, as Henri Nouwen points out, is learning how to act like the father. A lot to consider here…from one who has strayed in the past and God has gracefully maneuvered back to the right path.